When set designer Rufus Didwiszus begins work on a new production, the first thing he does is crack out a new bottle of liquid paper. "When I look at the script, I usually start by putting white over all of the stage directions," he says. 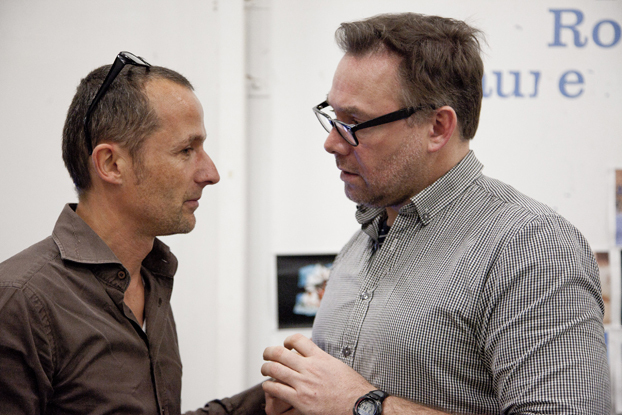 "I feel a good play or a good text doesn't usually age but the stage directions are the first thing that can age. They can be so attached to an aesthetic or a particular time or to a technology and I don't want to obstruct my view of it. I want to find my own approach and to see if it is timeless." 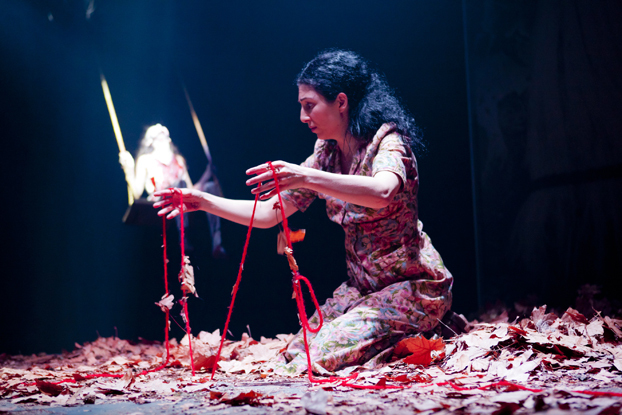 The latest play to get this signature Didwiszus treatment is the new STC production of Federico García Lorca's Blood Wedding, which is directed by Iain Sinclair and opened in Wharf 1 last week. The play, written in 1932, fuses drama and fantasy to tell the story of a young girl who runs away with her married lover on the eve of her wedding, going against nature and tempting great tragedy. Berlin-based Didwiszus has gained a reputation for creating powerfully spare designs for some of Europe's best theatre companies including the Schaubühne in Berlin. He uses clean lines and open space to focus attention, punctuated with textured surfaces and minimal props, all used to dramatic effect. He has predominantly worked on productions of plays that might be considered modern classics, such as work by Sarah Kane and Marius Von Mayenburg, but he has also put his stamp on traditional classics including a production of King Learfor the Royal Dramatic Theatre in Stockholm in 2003. "García Lorca wrote this play for his small travelling company, called La Barraca, so I know there wasn't much set involved in these productions originally," Didwiszus says. "Like Shakespeare's plays, when you read it you can see that it was not written for a lot of set, so what happens is that it immediately feels overworked if you create too much. Nevertheless it needs a frame, a place for the actors, so it is important to find the right balance." One of the key decisions Didwiszus needed to make with Sinclair was whether to keep the play in its original Spanish setting or to transpose it to a new location such as the Middle East or rural Australia. This production, which stars a strong cast of actors including Leah Purcell, Lynette Curran, Yalin Ozucelik and the female members of STC's The Residents, uses a new translation written by Sinclair and, although he has made the work easier for an Australian audience to relate to, there was no denying the strong Spanish core to the script. "When I did the first readings of the play I asked myself - how Spanish is it when I take out the stage directions? Can it be set anywhere?" Didwiszus says. "When I read just the text I saw it is set in a place that is hot, dry and poor, where there are very religious beliefs and traditions around the way the girl is being married. This I can see in Southern Italy and Spain, in Portugal, and I'm sure you can see it in Australia as well. But still I found in this play that there is a strong 'Spanishness' in it, especially in the fantasies in the second half." 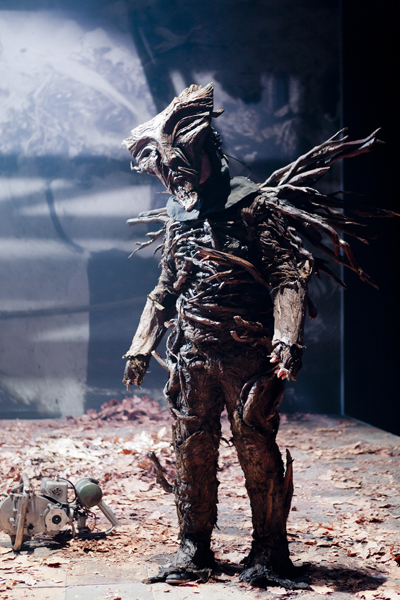 Authenticity was important to Didwiszus in creating the look of this show, which meant he had some interesting requests for the set and props departments. The set has a real stone floor, the backdrop in one scene is an enormous print of a photograph by world renowned artist Joel-Peter Witkin and at one point in the play actors come on stage wielding antique chainsaws that have been restored but disabled for safety. 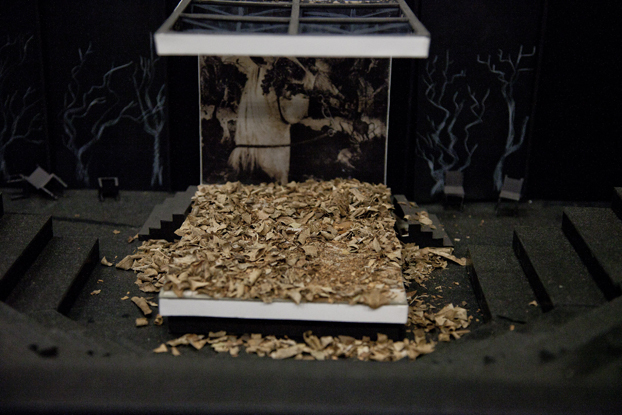 Another element of the set that was essential to Didwiszus' design was thousands of dried leaves that cover the stage in a scene set in a forest. The props department considered and budgeted for several different options including buying silk leaves and hand-making leaves out of brown paper. However, a change in the seasons in Sydney provided them with an alternative option. 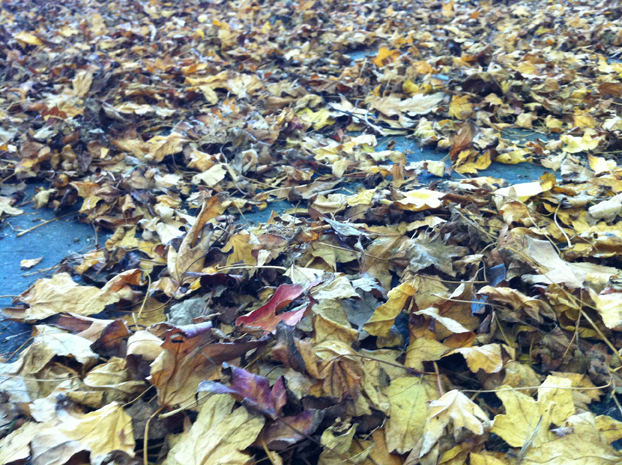 "Very early on in the production process we took a punt because at the time of year Hickson Road (in Walsh Bay, where STC is based) was covered in dry leaves, so we just went out and collected them on the off chance that we could use them," says Head of the Props Department Alex Stuart. "It was really quick to do and they were nice and dry because it was before the rain had come so we got out there and got bags of them." The leaves were a perfect fit with Didwiszus' desire for authenticity, although using real leaves presented several practical hurdles. "We had to check whether the actors would be allergic to them, if we could fire-proof them, whether we could put them on stage without any problems and whether they would last or if they would disintegrate so quickly that we would have to go through too many of them in the season," says Stuart. "Rufus and Iain weren't really interested in a stylised look for the leaves, and as soon as they saw the real leaves, they knew that's what they wanted. I could understand why they liked that look. 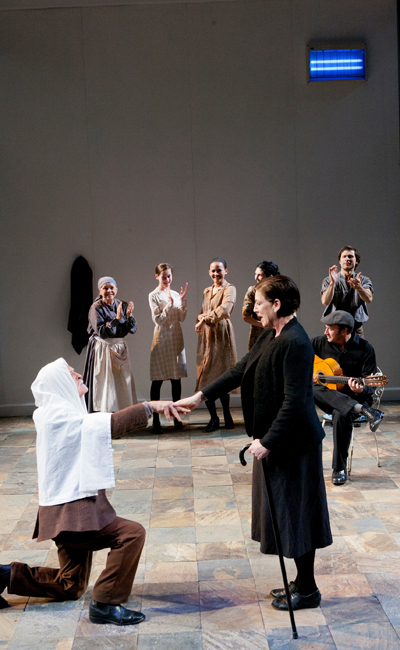 In addition to the more unusual elements of the set design, Didwiszus was eager to ensure that his interpretation of García Lorca's Spain retained the spirit of the country without lapsing into pastiche. "The challenge was not to fall into any sort of cliché, or to make it look like you went past the Spanish tourist department, which is a trap for me almost every day when I am looking at props," Didwiszus says. "It is dangerous and you must not fall into that. It's an instinct thing and I guess it will always be difficult with certain objects."